Meratrim Diet Pill Review (UPDATED 2019): Is it safe? 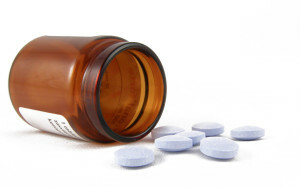 Meratrim Diet Pill Review: Is it safe? Instead of an individual standalone weight loss product, Meratrim is a proprietary blend that can be found as an active ingredient in various different weight loss pills and tools. Allegedly clinically proven and endorsed by celebrities such as Dr. Oz, Meratrim claims to be able to help cut out your cravings and help you lose weight thanks to its blend of two natural ingredients. The creators of Meratrim claim that the ingedient is capable of helping users accomplish their weight loss goals in just two months. Of course, every weight loss component is billed as a miracle ingredient that helps distinguish the products that feature it from all of the pretenders on the market. 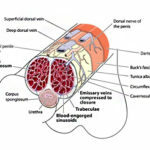 Is Meratrim just another fad, or is it the real deal? Let’s take a look at Meratrim, as well as how it’s marketed, and find out the truth behind the ingredient. The proprietary blend Meratrim is manufactured by a company known as Interhealth Nutraceuticals, Inc, which was founded in 1987 and operates out of California. Interhealth’s official website claims that the company specializes in creating proprietary blends to be incorporated in various weight loss products. As Meratrim is more of a proprietary blend than a standalone weight loss product, it can usually be found in products made by other companies, such as weight loss pills like Re-Body’s Fruit and Flower Slimming Formula, as well as Health Direct’s SLIMit. However, multiple weight loss companies do offer weight loss products that consist of nothing but the Meratrim formula, so we’ll take a look at how Meratrim is known to function on its own. 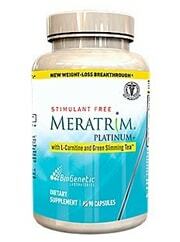 Meratrim is designed to be taken alongside a healthy lifestyle of diet and exercise. Weight loss pills containing Meratrim are typically taken half an hour before breakfast and dinner. The makers of Meratrim allege that these two ingredients have been studied and proven to make it more difficult for fat cells to multiply, prevent fat cells from picking up a significant amount of fat from your bloodstream, and aid in the burning of stored fat. On the official Meratrim website, the ingredient’s creators claim that Meratrim was researched and tested in two different clinical studies, supposedly proving that users of Meratrim experienced better weight loss over an eight week people than subjects who had not taken Meratrim. However, there is no link to this study provided anywhere on the official Meratrim website, and two limited tests may not be enough to actually prove how effective Meratrim can be, especially when it comes to longterm weight loss. Users of products such as Re-Body’s Meratrim Fruit and Flower Capsules have also expressed dissatisfaction with the results of Meratrim online. Meratrim is a proprietary blend comprised of two herbal extracts, including a flower named Sphaeranthus Indictus and a fruit known as Gardenia Mangostana. The ratio of these two ingredients found in Meratrim is approximately three to one. These two ingredients are believed to posses the capabilities to aid the body in performing acts such as lipolysis, which means the breakdown of fat. No side effects are known to result from the use of pure Meratrim, but users of other weight loss products containing Meratrim may run the risk of encountering various side effects due to the other ingredients found in other products. Meratrim is vegetarian and vegan friendly when taken as a standalone product. There has been an insufficient amount of testing on Meratrim, especially considering the fact that the two ingredients that make up the proprietary blend are rarely found in other weight loss pills and tools. While the creators of Meratrim allege that the product has been clinically research, any tests performed on the ingredient have been far from rigorous and have been funded by Meratrim’s creators themselves, which may cast doubt on the tests and their results. Meratrim is a proprietary blend consisting of two herbal extracts known as Sphaeranthus Indictus and Gardenia Mangostana, which the ingredient’s creators allege to be capable of aiding the human body in breaking down fat. Meratrim can be found as an ingredient in several weight loss products, but it is also marketed as a standalone extract. While it is not known to result in any unpleasant side effects, Meratrim remains insufficiently tested and may not be as effective as its creators claim. Due to the insufficient amount of testing that has been performed on Meratrim, it remains to be seen just how effective Meratrim may be as a weight loss ingredient. The fact that Meratrim is not associated with any unpleasant side effects is encouraging, but users who decide to use any of the various products that contain Meratrim still need to be wary of side effects that may be associated with other ingredients found in these products. Thus, it would be more convenient for anyone looking to lose weight to choose a more thoroughly tested product that is not known to include any side effects than a product containing Meratrim, or Meratrim by itself. Whats better than Meratrim Diet Pill?